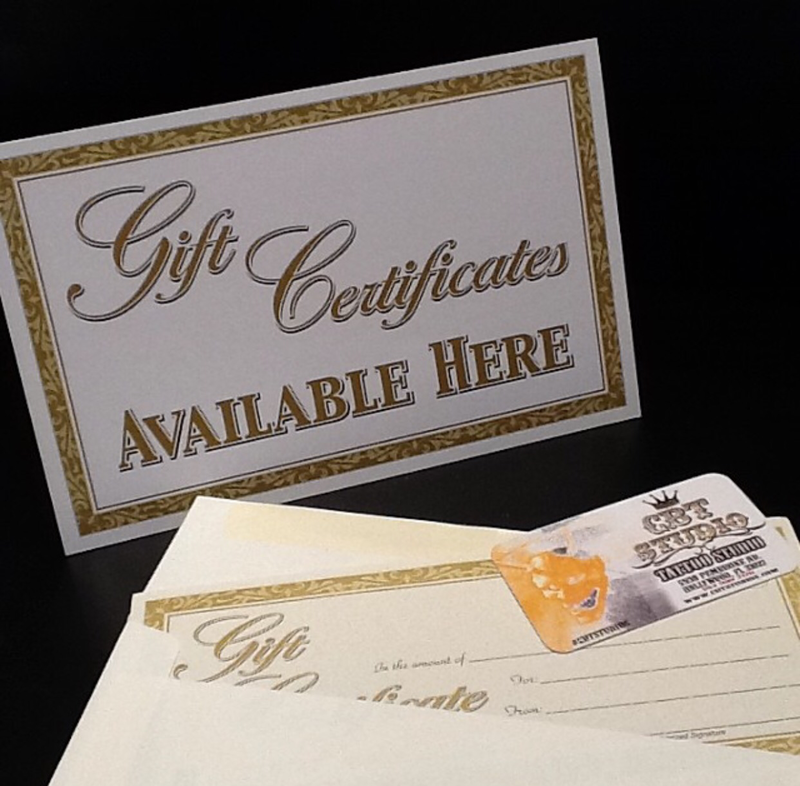 Gift Certificates available here at #cbtstudios . They make great stocking stuffers for the #holidayseason !! For those of you who prefer doing #onlinegiftshopping . These #tattoogiftcertificate ‘s are available online via #paypal email: info@cbtstudios.com . Cheers! !